By adding Google Analytics, you’ll be able to see exactly what keywords and phrases visitors are typing in to arrive on your site. If you don’t see any search phrases like ‘cat sitting [your town]’ or ‘[your town] cat boarding’ you’ll know that you need to begin to optimize your website for those keywords (more on that in a moment). If, on the other hand, you do see search users landing on your site from cat-related keywords, you’ll have to adjust the way you display your content. Something about it may not be resonating with cat owners. 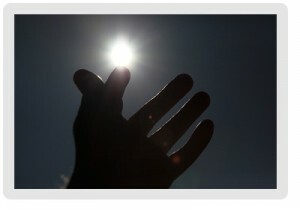 You can entice your website visitors to take action (IE. Get in touch with you to book services) by placing calls to action on every page of your site. A call to action is simply an “act now” button. I suggest placing a nice big call to action at the bottom of your content on every page. This way, when the visitor has reached the end of your website copy, she’ll see the call to action. Using GoDaddy Website Tonight to Build Your Website? Always remember that content is search engine food. This is how Google figures out what is on your page and what services you are offering. Once it gets a good idea that you are offering cat sitting services to cat owners in [your town], it can begin to put your website in their search results for that term. So, if you want to attract cat owners, you need to add relevant content to your web pages so that Google and the other search engines can send those users to your page. It looks like your home contains about one paragraph of text (content). And again, it’s important to note that content is food for the search engines. Simply sit down and start writing about your cat sitting services. Write as yourself and “speak” directly to ONE ideal client – that’s how you can find the best voice to write in. 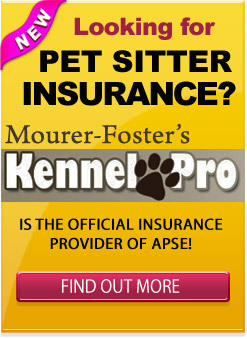 Here’s an example from my own pet sitting website. We wanted to attract more dog boarding clients, so I created a page specifically for dog boarding. You’ll notice I answer as many questions for the visitor that they may have. I also use a nice big call to action at the bottom of that page. Side note: Notice how the content on that page is broken up into bite-size paragraphs and big bold headlines with some words highlighted. This makes it very easy for the visitor to SCAN the words without having to read every word. Both you and Google will love you for that. 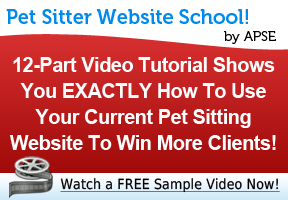 Take a moment and download my complete pet sitting website SEO guide. It will walk you through 10 steps that you can take right now to optimize your website for Google. In fact, it contains the 10 suggestions that Google came right out and said to do. You can scroll up and look on the top right side of the screen. Yes, most of us have a listing in Google Places (formerly Google Maps and Google Local) but is your listing working for you? We are lucky enough to be in a local-based service business and Google wants to showcase our services to interested searchers. If you have a listing, that’s great. But now you need to focus on getting reviews! A) Nobody wants to come across your listing and see that no one has said a word about you. That doesn’t inspire a whole lot of confidence. It’s called social proof. We look for social proof as human beings in everything we do. A potential client wants to know that YOU are the right choice to make, and if she sees others ranting and raving about you, it makes her decision that much easier (and this is all before she ever arrived on your website!). B) Google will start to reward you for reviews by (you guessed it) showing your listing high in the results when someone is looking for your service. How do you get some reviews from pet sitting clients? After each new client returns home, we send them a welcome home email that thanks them for choosing us. It also contains a direct request and link to our Google Places page and asks them to share some feedback. Very helpful tips to pet sitters who are struggling to promoting their business. Thank you for posting.